Car insurance can really add to the cost of owning a car, particularly if you are young and considered to be a high risk driver. If you make a claim then your premium could increase massively. There are a few things that you can do which might help to make your insurance cheaper, we will give you a few ideas in this post. It does sound really obvious but you should take care when you are driving, careful driving will mean that you are safer and should reduce your risk of having an accident. 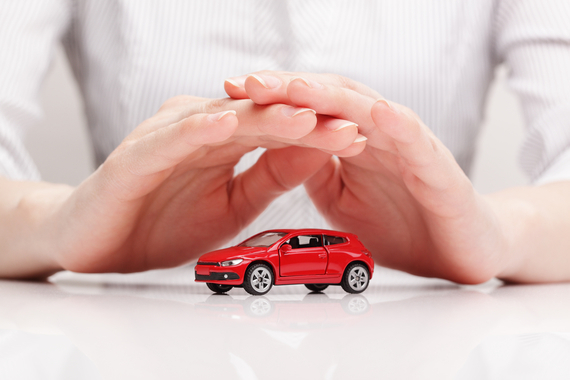 Any claims will increase your premium so the more that you can do to avoid an accident the better. There are even some insurance companies which will allow you to monitor how well you drive and this could possibly be a way to keep the premiums down. It might be worth adding drivers onto your insurance policy (that’s if they are safe drivers), this used to work best for men when they added wives and girlfriends but in Europe equality laws have put a stop to this. If additional drivers have a large no claims period or are older then adding their names could bring down the cost, it is worth trying to see if it helps. Part of your insurance will cover the cost of replacing your car and therefore the higher the value of your car, the dearer the insurance. There could also be the thought that a better car is worth stealing and therefore that will increase the cost too. There are certain models of car that will be more expensive to insure than others, in my experience Suburu and Alfa Romeo are always expensive brands to insure. It could be worth doing research on this before buying a car to see whether you can keep your insurance cheaper by picking a particular model or a different brand. Reducing the chances of your car being broken into will not only help the insurance cost less, it will reduce the inconvinience of having your broken into and reduce the chance of you having to make a claim. It is sensible to never leave valuables in your car so that thieves break in to steal them. Also fit a better alarm or steering lock to make your car is much more difficult to steal. It can be tempting to think that because you pay out so much for insurance, you want to make use of it and make a claim if it is necessary. However, making small claims will put up your premium up and you could end up paying a lot more in the long run, more than you would of had you just paid for the repair yourself. When you take out fully comp insurance certain claims such as windscreen repairs don’t usually have an effect on your no claims bonus. Small chips can usually be repaired quickly and only a small excess is required. You can try most of the above by just playing with the options on popular comparison sites. This post was supplied by Mark Stubbles, Mark is pleased to have never made an insurance claim and writes for www.autoglasspro.ca.